Establish your place of business in one of the fastest growing areas of Metropolitan Grand Rapids. We have 20 office spaces available for office use on the second floor. Spaces range from $468-$1,013 a month, with the option for additional storage as needed. Unique floor plans and lots of natural light give character to our office spaces and create a comfortable work environment. Each office space has access to high speed internet, cable, and phone line hook ups. Other amenities include controlled floor access and a controlled parking ramp. Clients will have access to our kitchenette (sink, microwave, cabinets), conference room, and onsite restricted parking ramp. Maplegrove has partnered with the commercial interior design company, Custer, to help our office partners furnish their space. Custer designs and builds exceptional spaces that connect people and empower them to do their best work. 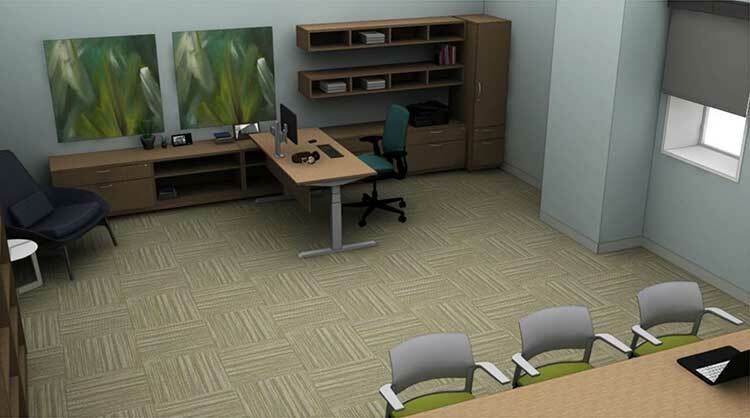 They offer workplace design, office furniture, integrated technology, and interior remodels. They serve clients in corporate, small business, healthcare, and education industries. Custer would love to provide you with an exceptional office suite from one of their standard office packages available to Kingsley building tenants and residents. 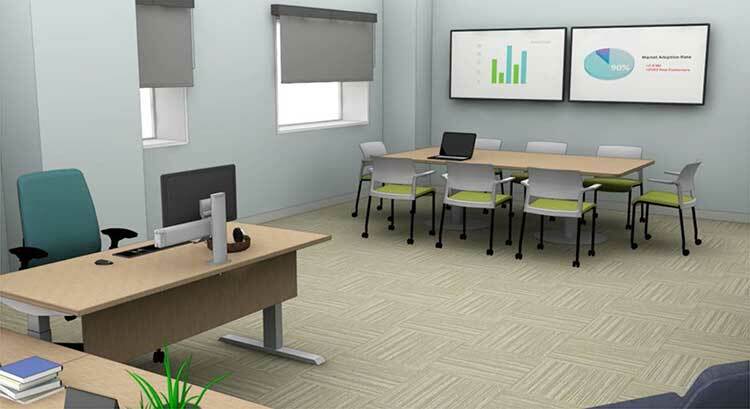 Visit their spec office inside the beautifully remodeled Kingsley Building and see how you can furnish your office suite with the latest and greatest solutions from Custer, Inc. If you have any questions about where to begin, contact Mark Custer or text 616-724-0859.